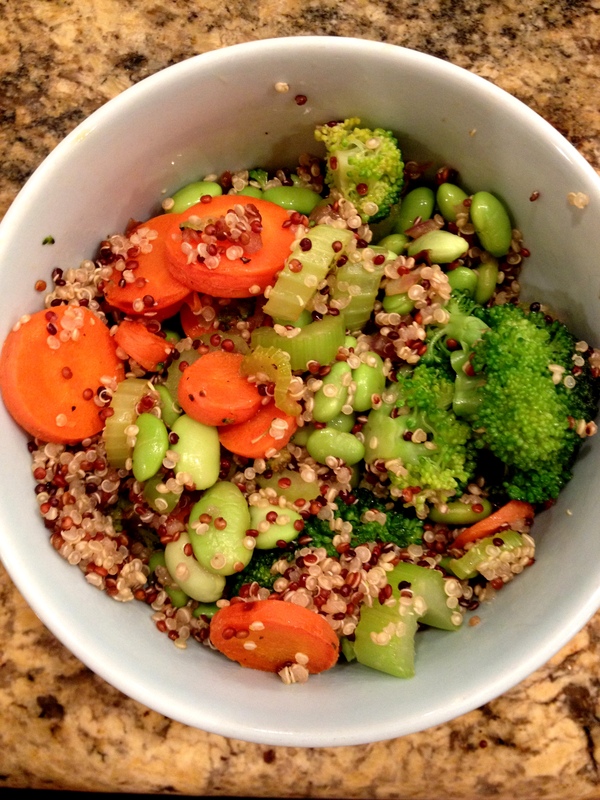 Tonight I whipped up this vegan vegetable and quinoa stir-fry. It doesn’t take very long to make and is loaded with protein. I will post the vegetables I used but you can use any vegetables that you have laying around. Once everything is done cooking, put in in a big bowl and eat with optional cracked pepper and balsamic vinegar.